The item I chose to focus on caught my eye because, well, I love beads. 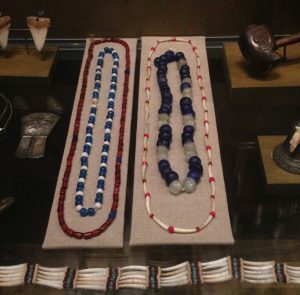 And these beads were presented as ‘either from Italy or China that had been traded in Alaska for centuries.’ WHAT?! The exact date or artist of these Alaskan pieces, or whereabouts of where the pieces were found were not given, or was the political climate around these trading of goods. They are not from thousands of years ago, but only centuries ago. But the entire history of Alaska is rich. What I love about these beads are the stories they must tell. They came from far away lands and must have been popular and worth a lot (in their time) where they came from if they were to be traded in Alaska for rich furs and oils. 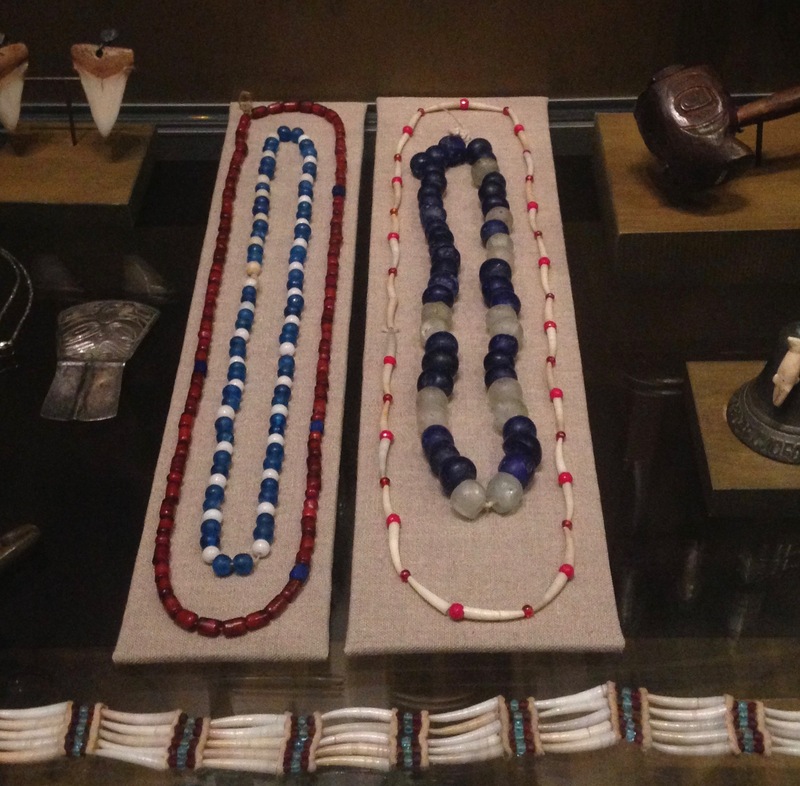 They made their way to Alaska and these beads impacted the artistic and cultural landscape here. 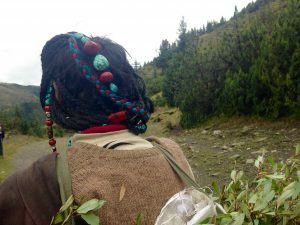 Fashion continued to change- as it does now. The beaded jewelry in the museum caught my eye and has perked my interest in the continued study of the areas of the Pacific Rim.